'Zinaida Luchnik' Зинаида Лучник (Zoya Dolganova, R. 2013) Sdlg. 153-97-2. JI (6 F.), 17.5-23, Early midseason bloom. 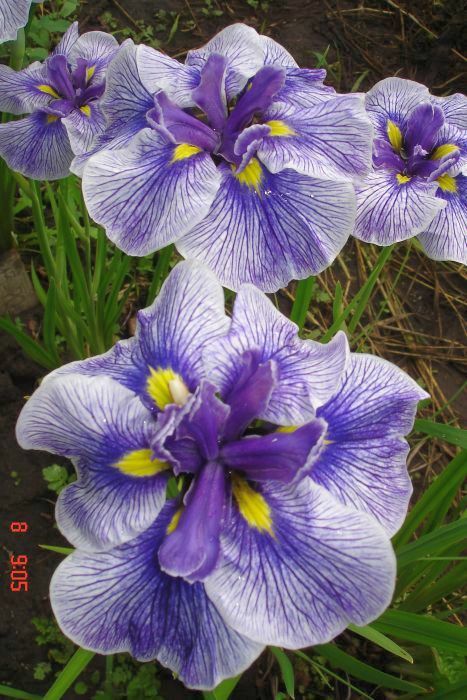 Style arms lilac-violet, crests with white rim; style arms white with blue venation; Falls yellow 1/3of falls then violet halo extending to center to 2/3 of falls. Parentage unknown. Translation: Зинаида Лучник = Z.L. (1909-1994) headed of the Department of decorative gardening research in the Institute of horticulture of Siberia. She created two arboretums: Gornoaltayskoe and Barnaul.